We’ve hosted 3 Summit’s so far, with more on the way. A veteran of the online and multichannel retailing, Silverman has been active in the industry since 1999 and is passionate about digital retail and the innovation driving the industry. He is a consultant that works with emerging technology companies where he helps them with marketing, positioning and building relationships with online and digital retailers. Silverman spent 10 years as Executive Director of Shop.org. During his time at Shop.org he launched the Shop.org Annual Summit, the annual Merchandising workshop and a number of research studies. He co-invented “Cyber Monday” in 2005 and was the founder of Cybermonday.com in 2006, a shopping site that has generated more than $2.5 million for Shop.org’s scholarship fund. Silverman also co-founded CommerceNext, an annual conference in NYC 100% focused on e-commerce customer acquisition and growth. A digital commerce industry analyst for the last twenty years, Kent’s research and thought leadership has strongly influenced the development of the global/cross-border ecommerce sector. Since collaborating with Jim Okamura on the industry’s first international ecommerce benchmark study in 2008, Kent has published a wide collection of reports and articles chronicling the rise of global ecommerce ecosystems. Kent also leads strategy, industry analysis, thought leadership and content marketing initiatives that focus on omnichannel commerce and digital marketing innovations. 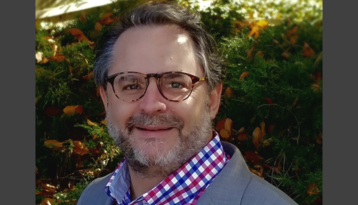 His work includes executive research, industry speaking engagements, white papers and case studies, social content, webinars, and retail tours for retail and consumer goods executives. His latest focus, The Global Customer Journey Project explores how the online shopping journey differs in markets around the world. The Research Trust’s industry marketing programs help innovative digital companies tell their story and build ongoing relationships with prospects, established clients and partners. Kent’s practice provides a mix of strategic planning services, best practices research and market analysis for global brands and technology partners striving to better serve connected consumers around the world. Jim has over 20 years of consulting experience focused on strategic planning in the retail industry. His work in multi-channel retail and international ecommerce strategies has resulted in industry-leading thinking on retailer best practices and strategic planning.